The march of technology has created a vast storehouse of individual and corporate digital assets. Until very recently, these were not included in people’s estate plans. But since estate plans are designed to pass assets to one’s heirs, digital assets are becoming increasingly important factors in estate planning. 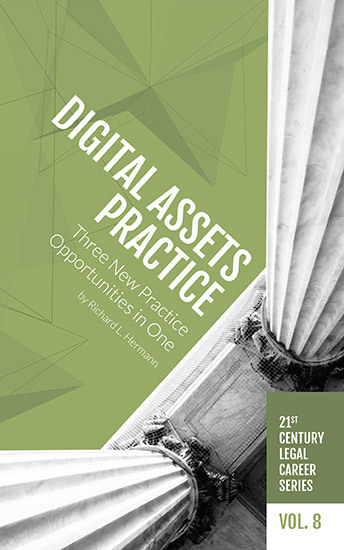 Examine how Digital Assets Practice could be a ground-floor opportunity in Volume 8 of the 21st Century Legal Career Series, Digital Assets Practice: Three New Practice. Buy the print edition at the NALP bookstore or the electronic version at http://www.amazon.com/dp/B071F5XDB1.